Do you know how it feels to be comforted by the arms of God? I was diagnosed with breast cancer & my world started to spin. There were frightening and painful procedures to endure, many hours on the road and away from the ranch to attend doctor visits and test facilities and many long tense hours awaiting test results. It was an unbelievably stressful time for us. Although we didn’t necessarily wish our predicament to be a secret, we didn’t feel like talking about it to anyone other than immediate family. But little by little the news came out. Friend after friend voiced their concern and comfort, offering to do anything they could to ease our burden. We’re pretty fiercely independent so we didn’t even know what to ask for. So we simply smiled and nodded, grateful for their friendship. We began to prepare everything on the ranch for a potentially prolonged down time. 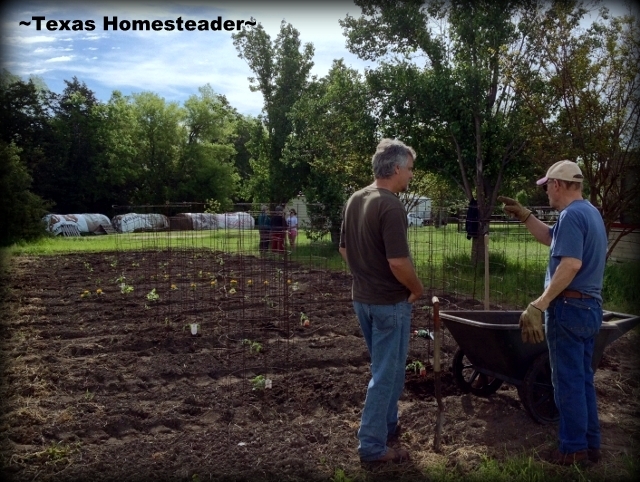 We were trying to get the garden in order, the cattle set up, bills prepaid and preparing the property itself. Our focus was going to be elsewhere for awhile. But shortly before the day of surgery we had a malfunction with our lawn mower. 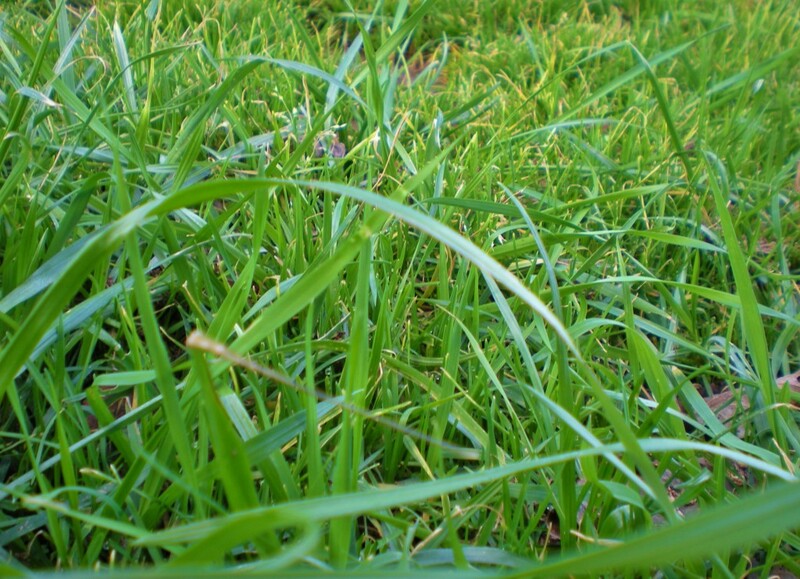 We have a friend who runs a lawn mowing business so we hired him to come mow our now fully out-of-control yard. He came during the hospital stay and mowed and maintained our entire household property. But then he refused payment. Knowing this fine gentleman as I do, I’m really not surprised. On the day of surgery we were greeted by a waiting room filled with family members as well as our pastor. They were all there to show their support. They were still there several hours later when I emerged from surgery. Then there were many visits during the subsequent days of my hospital stay. I’ve always enjoyed a very rare, extremely close family unit. But during that time even family members typically more comfortable close but at arms reach stepped up, openly showing their love and comfort. When we returned home after the hospital stay we were met that very night by a beloved close friend bringing “Healing Chicken Soup” and cornbread along with a few amazing sweets. Those first days that soup was indeed a healing elixir on a troubled tummy. It allowed heat-&-eat convenience so focus could be on healing. There were many subsequent food deliveries from wonderful friends & families in our church. Those meals tremendously eased our burden once patient care and recuperation were in full force. What a comfort! There was a tray of beautifully arranged cut and already peeled fruit and raw veggies perfect for a tender appetite delivered by one of the true treasures at our church. 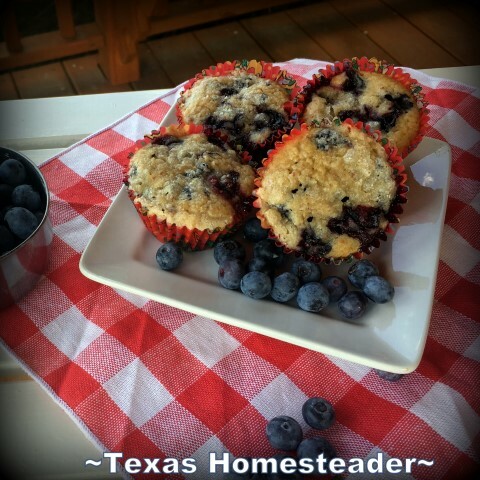 And a personal delivery of blueberry muffins still hot out of the oven from a thoughtful neighbor. A full meal of roast with carrots and potatoes were brought days later from another special friend. Many more meals were brought to us, always with an extra serving of LOVE. How blessed am I to have these fine people in my life? Cards with well wishes filled our mailbox. Some were from family & close friends but one was from a stranger across the country who was acquainted with our daughter and reached out to me through her. Each and every word of encouragement brought a much-needed smile. I confided afterward to a family member that I had prayed hard for weeks that God would give me strength to get through this frightening ordeal. But as time passed I became concerned. I was expecting the answer to my earnest prayer for strength to come as calm and poise, confidence and assurance. But I was feeling none of those things! As the surgery date closed in I found myself still very afraid and unsure of the future. Although He’d never failed me before, was God going to answer my prayer for strength? As it turned out, the overwhelming answer is YES! The strength he offered me was in the many family members, close friends and even distant strangers that upheld me during my time of trial with their outpouring of love, support and assistance that we didn’t even have to ask for. I was so touched by the magnitude of it all, and I came through a stronger person both physically and spiritually. The next time I feel the tug to reach out to offer comfort to someone else, I’ll remember the lesson I’ve learned through all of this: God uses His children to prove His love here on earth. When I feel that tug I’ll be proud of the mission that He’s now entrusted to me! 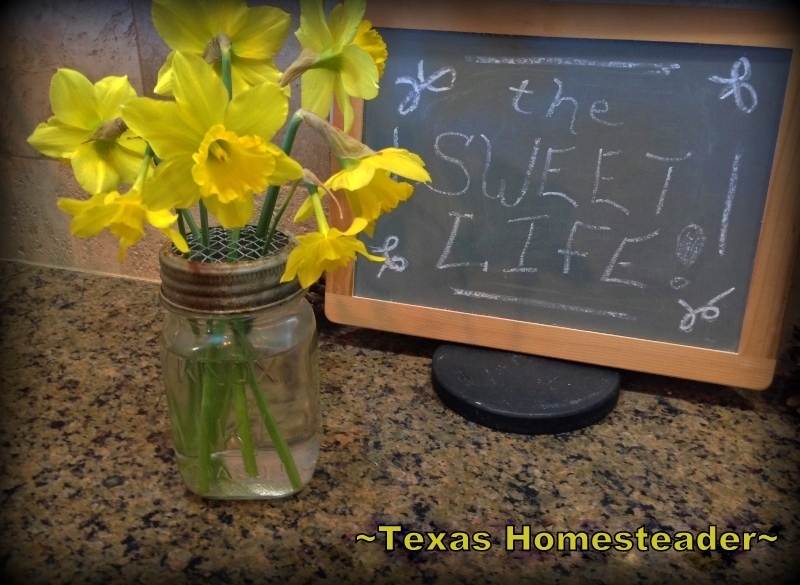 This entry was posted in Blog Posts and tagged Flowers, Inspirational, Ranch Life on May 2, 2013 by Texas Homesteader. I’ve recently gone through a similar experience and also found God’t love in the generosity of others. I never understood the tradition of taking food to those going through trials, but now I deeply understand how important that loving support is when you are dealing with a trial. Thanks for sharing at the #ThisIsHowWeRoll Link Party. Beautiful pictures. It is amazing and sweet how many people are there when you need it most 🙂 Thanks for submitting it to the HomeAcre hop! Feel free to stop by Thurs AM and submit another. I am so sorry that you had to go through a trying time and I appreciate you sharing your trials, tribulations and your reminder that God provides answers to our prayers and sometimes in surprising ways! A very beautiful post and so glad you are on the mend. Thank you for sharing on the Four Seasons Blog Hop. Wonderful post! My daughter was in a terrible car accident this past summer and I similarly witnessed God’s love through family, community and church support and love. God also answered my prayers and I am beyond thankful that my daughter is healing and doing very well. It is amazing the strength that God gives us! 🙂 I’m glad you are doing better! Thanks for sharing this! 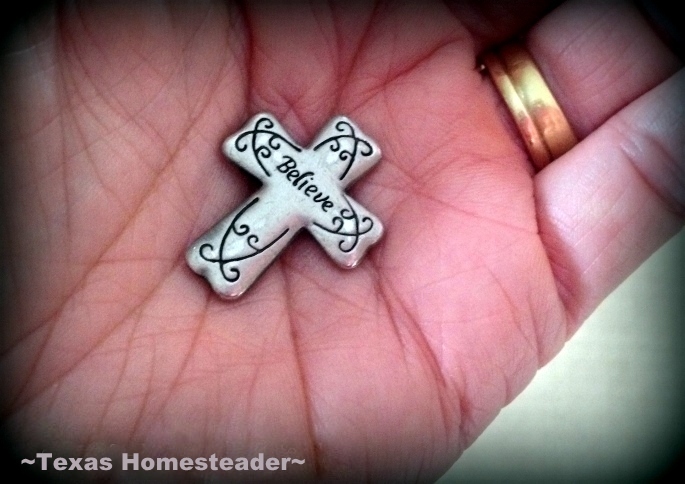 We featured your inspiring post on The HomeAcre Hop! Thanks so much for sharing! Taylor Oh my sorry I have lost touch with you lately 🙁 I do know the pain of facing a grave illness and having a loved one go through the same…..the kindness of others saw me through and still does. You are in my thoughts and prayers. Your gorgeous picture of the Iris totally got my attention but your words are truly moving and heartfelt. I wish you well on your way to recovery and I’m inspired by your testimony of God’s love through others. Thanks so much for sharing your experience with us on The HomeAcre Hop. I hope you are fully recovered and feeling healthy again! Blessings for you and for your friends and family for their love and comforting presence. Thank you for sharing from your heart. Our family is going through a similar situation, and we haven’t shared with to many people. But God is showing Himself through His Body, His people, and revealing how much He loves us and cares through the many prayers, kind words and their selfless actions, just as he did with your family. God is Good, all the time. May God continue to restore and heal your body as you grow stronger each day. Blessings! We question why bad things happen to good people. I believe that it is to help us to realize just how great God’s love is and how beautiful His world is. And to know how wonderful the people around us are. One of God’s great gifts is to open our eyes to his love. Even though you are going through some tough times now, the future holds many years of walking over your land, hand-in-hand with the love of your life. I especially liked your last photo showing the beautiful pocket cross and your little finger curving gently toward it to hold it close. I am so glad all is well. We often only hear about the bad in the world, I am so glad there are good people like your friends there too! Take care! I am completly and utterly speechless after reading this blog! I appreciate when someone takes time to put their findings of God’s presence at work. So many times we are fast walking head down moving forward, etc. that we do not stop and look around at God’s work. Thank you for sharing! What a beautiful post. God bless you and the wonderful friends and family he provided you. They are there in good times and bad! Get well soon.